Berol Products	There are 2 products. 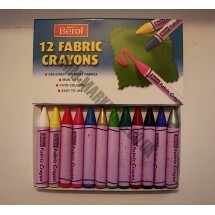 1 * Berol Assorted Fabric Crayons Pack of 12. Draw directly onto fabric and iron on to produce permanent images and iron on to produce permanent images. 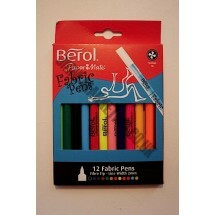 12 * Assorted Fibre Tipped Fabric Pens.